Mashup Alert! 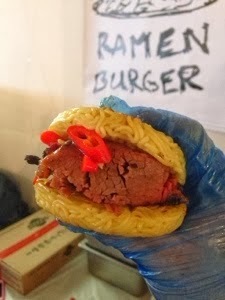 Courtesy of Chickpea & Olive, the very first Phatty Beetball Parm Ramen Burger! The leaning tower of ramen buns.